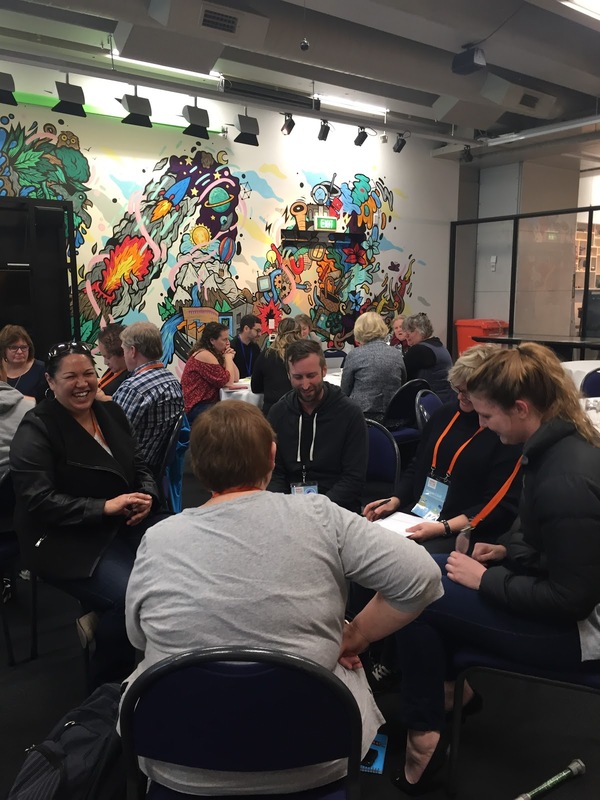 This post is inspired by an incredible day at Educamp Welly. This question popped up a few times today. Simon Sinek talks about the “why” that then empowers the “what” and the “how” to happen. My “why” is driven by who I am as a person, the values I bring and the kaupapa that I want to share. Having worked across early childhood, primary and secondary I view all children as confident and capable. Regardless of how old they are, where they were born, their differences in learning, they are all children with potential. These children are citizens of the world. We are passing to them our mistakes. They have the ability to make positive changes both here in the present and as they grow into the future. To get to the point in which they feel they can make a difference they must first understand that they belong and have a place in this world. They need to feel connected, whether that be culturally or socially. They have to know that they are safe and cared for. Therefore, I see my role as a teacher to make sure that I live and breathe Te Tiriti o Waitangi (The Treaty of Waitangi) for it really is the tie that binds us as a society in New Zealand. To understand our future, we must understand our past. Participation, Protection and Partnership. Te Ao Māori has so much to offer us, if we let it. I am also there to nurture and grow capability in students and make them feel that they matter. 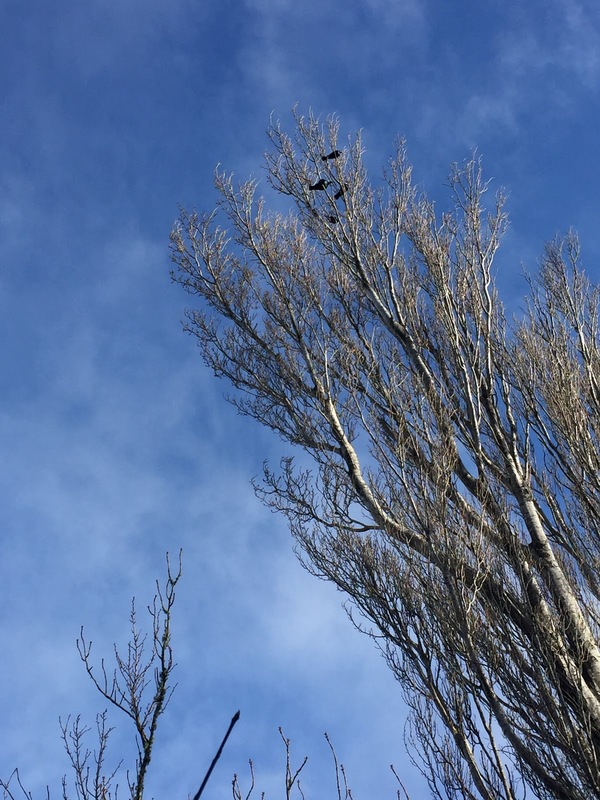 Whānaungatanga – they are part of my family. We must learn to accept each other for our similarities and our differences. Our world is too full of hate. Last but not least there is Papatūānuku, the whenua. 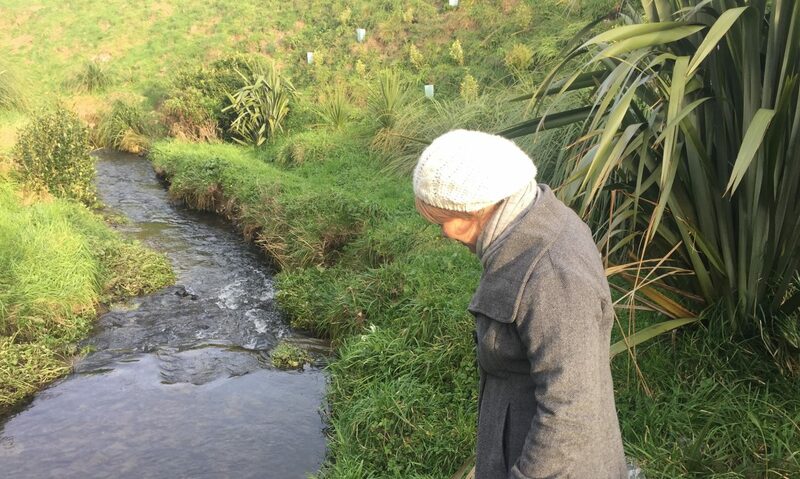 I feel so strongly about caring for the environment, about being sustainable and connecting with nature as part of our hauora (wellbeing). I’ve got a chance to let my students share this passion too. So that is my why. Colouring in the White Spaces by Anne Milne is such an important book. Not only does it document one schools transformation and strength to push against the status quo, it also is forthright in calling out the tokenism of “Māori achieving success as Māori” in our whitestream schools. White spaces refer to those spaces in our school that predominantly reflect the dominant “white” culture and have become the norm. In New Zealand, the Treaty of Waitangi was signed in 1860 between the British Government and the Tangata Whenua (Māori). It was supposed to be a partnership but the colonisers became the dominant power. The Treaty is a legal document and it has 3 key principles; Participation, Protection and Partnership, that underpin the relationship between the Government and Māori. As a teacher, the Treaty also underpins what we do. The “White” spaces need to be challenged. One of the areas that Anne calls out is that schools think that the inclusion of a school Kapa Haka group as a space for Māori ākonga to experience “success” as Māori is enough. Too often our Kapa Haka is a lunchtime group (in my case I get 20 mins a week to run it!!) and extra to our curriculum. Kapa Haka itself is a wonderfully rich part of Māori culture where so much tikanga, reo and dispositions can be learnt. Kapa Haka is quite often seen (in my experience of education) as a Pakeha version of a dance group – all about the costumes and the performance, and nothing about its cultural ties. Cultural identity is shaped by what we see, hear, touch and feel around us. Being Māori is to be shaped by those experiences. As I have mentioned before in an earlier blog post, those experiences for me shaped who I am today. Ann Milne points out that sometimes we don’t always have Kuia or Kaumatua to pass that knowledge down to us so we need those experiences. For me, going to the local marae at Primary school, learning te reo, and being in the kapa haka were those things. It connected me to my tipuna. The other key idea from this book is about creating an authentic culture of care; that students know that you care for them and respect who they are. This reminded me of Carla Rinaldi and Magda Gerber’s, two prominent names in the field of early childhood education, both who mention care as an integral part of teaching. A child’s identity and security (from which they can grow) is all based on them knowing that you care. So simple, but so important. Colouring the the White Spaces is a book that all educators should read and talk about. Unfortunately the people that need to read it most likely won’t. So my question is, with such a push from the Education Review Office for school’s to show success for Māori, how will Ka Hikitia be a living, breathing document that is understood and seen from a cultural lens? How can all those assumptions be challenged if those person’s don’t even realise they have assumptions. How do you even know that a “white” space exists if that is all you have ever known? My experience of learning te reo Māori is that unless you hear it, see it and speak it every day then it just won’t stick. When I was a kindergarten teacher I felt comfortable speaking te reo in context as there are no “lessons” or times in which te reo must be spoken. It was natural and organic in the way that it grew in use. Fast forward to primary and we get stuck in the rut of thinking we need to teach te reo Māori as a lesson. Year after year students gets the same old “Kei te pēhea koe?” conversation which is level 1 of the curriculum. Te reo Māori is much more than that. So this year I looked at ways to bring the reo into my classroom and have it be more organic, just like it was at Kindergarten. I decided to have a new Kīwaha each week. Kīwaha are sayings and are really easy to remember because you use them all the time. I got my ākonga (students) to answer the roll with a kīwaha to practise pronunciation and challenged them to use it during the week. That is 25 of us using the same kīwaha for 5 days and hearing it over and over. This ended up being quite effective as the ākonga could remember them easily and then started to use them in context. When the Education Review Office (ERO) observed my class I had a reading group having their own Socratic discussion about the text. They casually flung “he tika ana” or “tika” into their discussion as they agreed with each other. It was natural and nobody was whakamā (shy) about speaking. The ERO lady thought this was a bit of a fluke so stayed longer to observe another group. Again, this group agreed with each other in te reo Māori. It wasn’t forced and it was not a requirement. With the whānau group of Māori students I work with I tried several ways to introduce confident te reo speaking and did not get the same outcomes. I only see these ākonga once a week and I have gone out of my way to find them before school or when I am on duty to speak to them in te reo. They answer me back in English mostly, knowing what I am asking but not feeling confident to reply in te reo. The question is more like a puzzle than a genuine conversation. 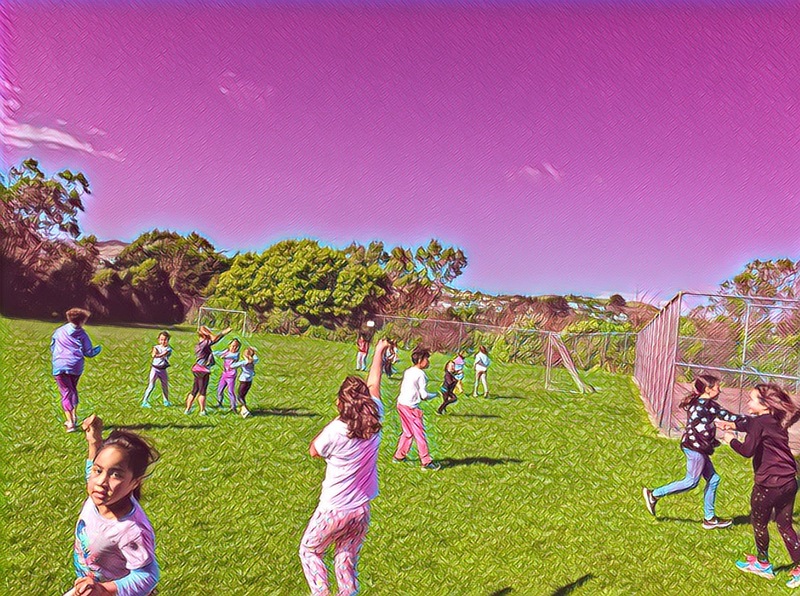 Each week these ākonga head back to their own classrooms and don’t hear any te reo (or very little) until the following week (or when I chase them down in the playground). This method just does not work. The reo cannot live in isolation. A lot of teacher lack confidence in teaching te reo but I would like to propose that teachers learn with their students instead. That they choose phrases or sayings that are useful for their classrooms. That they make a commitment together to see, hear and speak te reo Māori every day at their pace. There is such a resurgence of learning te reo at the moment and plenty of resources out there to assist. Make it part of what we do not an extra. My oh my! It has been nearly a year since I have officially blogged. That isn’t to say that there hasn’t been a good blog post stewing away in my mind, I just haven’t found the time to action it into writing. Oh well. So to help me feel invigorated to blog I have switched over to the WordPress format and am committing to getting some of my reflections down before the end of the year. What if School Camp was a game? Preparation for school camp usually involves a bit of cut and pasting of timetables, groups and gear lists, some goal setting and perhaps some team building games. 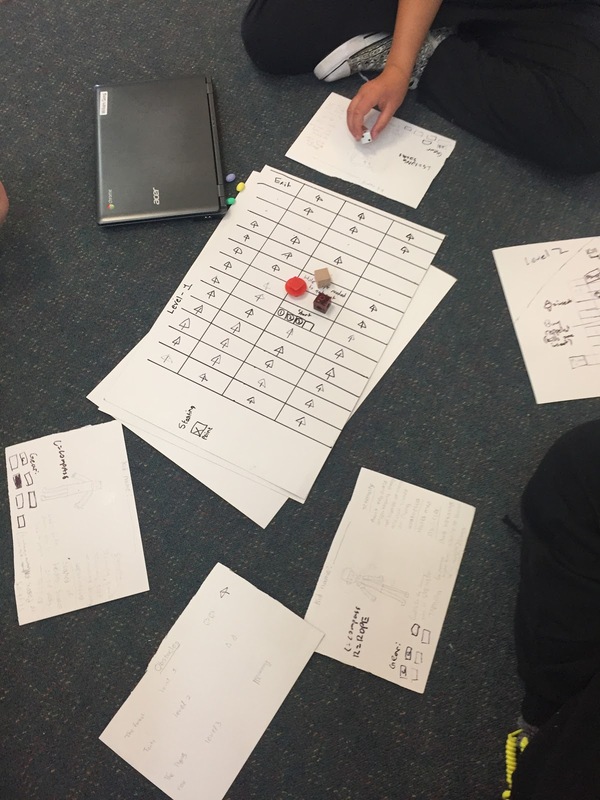 My thinking behind this was that designing games is an effective way for students to learn content knowledge through process. Engaging with the content in this manner would generate discussion and new thinking. So what did I want my students to learn? Our camp setting was changing from a “Hi-di-Hi” affair to more of a “Survivor” context. Students would be experiencing a range of physical and mental challenges that would require a wide range of dispositions. If we were prepared mentally for this, then surely we could reach our potential on this camp. 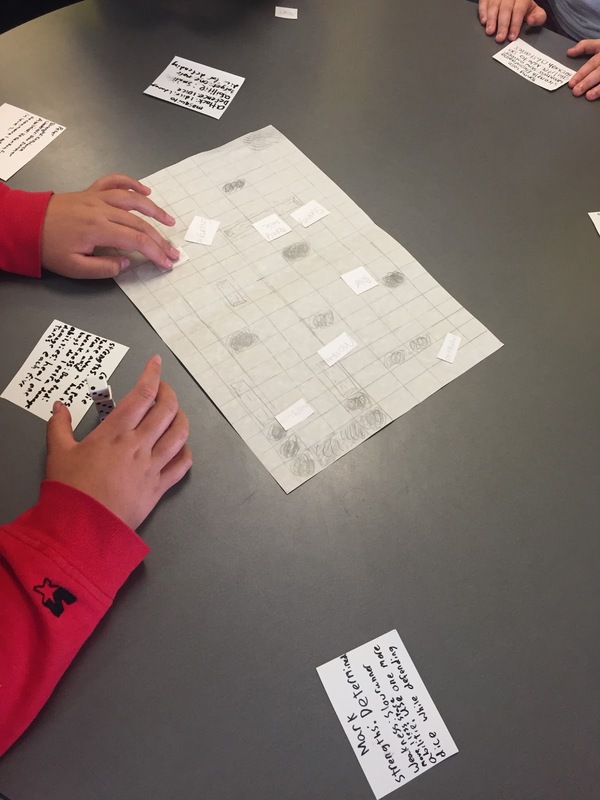 Table top role playing games (RPG’s) are experiencing a bit of a resurgence at the moment and several of my students actively participate in games in this format. Most of us will remember “Dungeons and Dragons” a popular RPG from the 1980’s that has since appeared in the popular Stranger Things series. These games require you to play in character and make decisions in the game based on that characters strengths, weaknesses and possessions. Students in my class were going to need to design an RPG in which the different characters of the game needed to have certain attributes that would help them deal with the challenges that they may face at camp. They were also going to need to come up with some possible scenarios that they might have to face. First students would need to know how a table top RPG works and for that we played the game “Hero Kids“. I got several students to be the game master for their groups and let them lead this part of the process. Learning through play is essential. 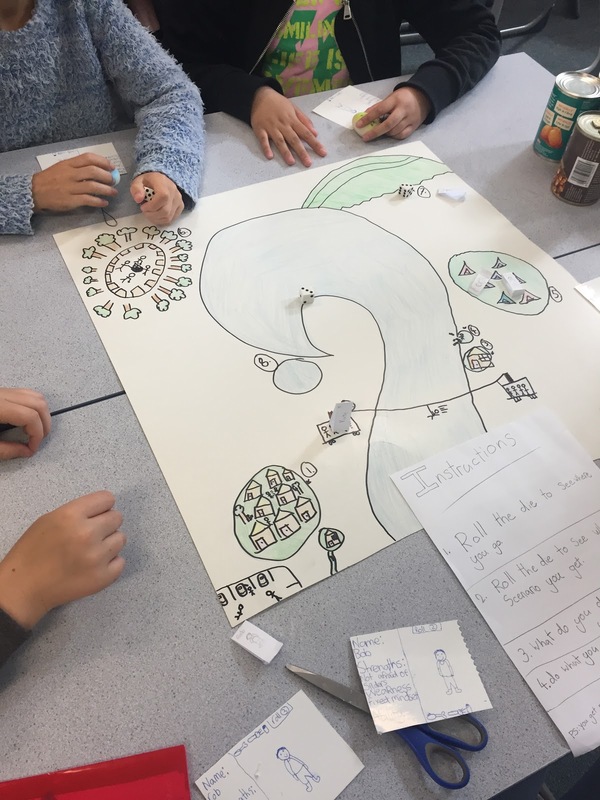 The ideation phase of the game design used Design Thinking so that character attributes and scenarios were closely aligned with what they would actually be experiencing on camp. And in regards to that, we did not give them much information about the camp itself aside from a verbal description of the setting and a list of possible activities. They even had to come up with their own gear list for the character. The verbal description of the setting was purposeful as we wanted them to create a picture in their mind and then on a large piece of cardboard of the camp itself. This created wonder and reassurance for some but without giving too much away. Play testing allowed other students to try out the games and have new experiences. Students became experts and teachers. The learning environment was a hum of collaboration. So, how did this all transfer to camp itself? What we noticed as teachers is that students were able to problem solve, they offered support to others, they were resilient and showed growth mindset when faced with adversity. Their conversations on camp mimiced those that they had had in the game. There was only one point of confusion from a student in my class who asked “so are we going to have to roll a dice everytime we need to make a decision?” This made me smile. A representation of wellbeing (hauora) developed by Dr Rangimarie Turaki Rose Pere. Each part important to the whole. This year I have noticed that I have had to be more responsive to the hauora of my students before they have been able to learn. The make-up of my class is radically different to that of last year and also larger therefore it has taken me longer to get to know each child. With a move towards collaborative learning spaces, how do we ensure that all students have a meaningful relationship with at least one teacher? What services do we need access to in our schools to assist with the mental wellbeing of a akonga? Are we addressing the hauora of all of our students in our programmes or just the ones who need extra support? My blue sky thinking about this would be for hauora to guide all decision making about learning, teaching, strategic planning, regulations etc. That those conversations started with “how will the student feel about this?”, “will this empower the student”, “what does this student need to feel good about themselves?”. I’d also love for us to have better access to psychologists, counsellors, health professionals and other specialists available for our students who do have extra needs in this area. As teachers we are expected to take on so many roles, a lot of which require someone with a different skill set than ourselves. Back to Te Wheke. Do we as educators have enough of an understanding of what wellbeing is? Can we address it our learning spaces? Can it be acknowledged politically as an essential part of teaching and learning? It is quite special to attend an inaugural conference, but even more special to be part of the dialogue before the conference and also be asked to help facilitate a session. 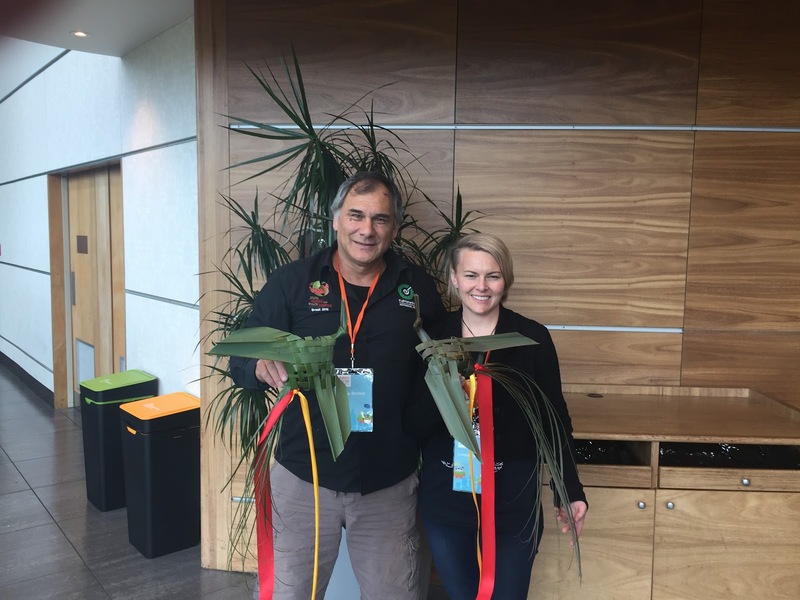 The Games for Learning Conference held at Te Papa in September 2017 was the vision of Rachel Bolstad from NZCER. Rachel has been doing some research into this area for the past few years and in some ways, this was the accumulation of the many different relationships that Rachel made over that time. The focus of the conference was “equity for social impact”. Rachel was able to secure some pretty amazing keynote speakers, facilitators and participants to be part of this special occasion. Amy Freeden from the Cook Tribal Inlet Council that bravely invested the stories of her people into the game “Never Alone”, Yasmin Kafai Professor from the University of Pennsylvania who had Seymour Papert as her mentor, Bron Stuckey a researcher, educator and consultant in the learning through games, and our very own Harko Brown who lives and breathes Ngā taonga tākaro (our cultural games). There were teachers, game designers, students, game players. Never before have I been at a conference with so much diversity. As a teacher who already uses gameplay and game design in my practice the focus of the conference for me was to see other ways in which to do this. I was constantly reflecting on the question “how could I use this in my classroom?”. This is also the stance I took while presenting my session on Game of Awesome with Aaron from Chrometoaster. I knew my audience; these teachers wanted something that they could do on Monday morning. We gave our participants permission to play, permission to be creative and adventurous and to try and use the GOA cards in different ways. I was really impressed at all of the new ideations of the game they came up with. There is a rich discourse when playing games. Listen! The group reflections at the end of the conference were incredible but it was a comment by Richard Durham (curriculum designer) that all my own reflections now come from (I wish I had written down exactly what he had said!) He mentioned that the conference itself had a different feel to it. It’s true, over the 2 days we were connected to each other through common values. We all saw games as ways to connect to each other, to empathise, to care. 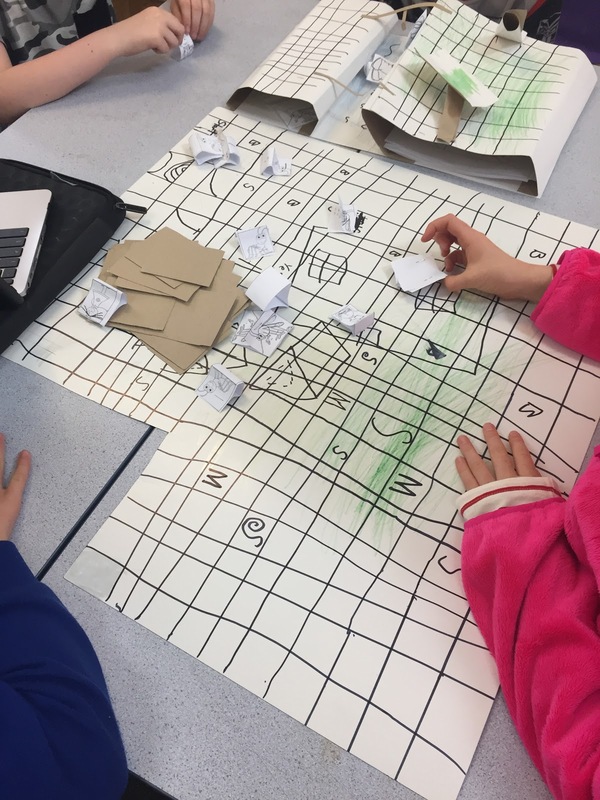 I know that I left feeling inspired to continue using games and game design as ways to help my students explore ideas, have fun and learn from each other.